I remember way back when My Geek Box started, which makes me feel a little old, but means I am super excited to see how they’re doing these days. 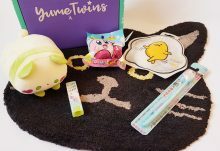 It’s a little sad they don’t seem to do themes every month anymore but the May box for 2016 had five items, including a teeshirt, so if surprises are your thing- that might appeal! 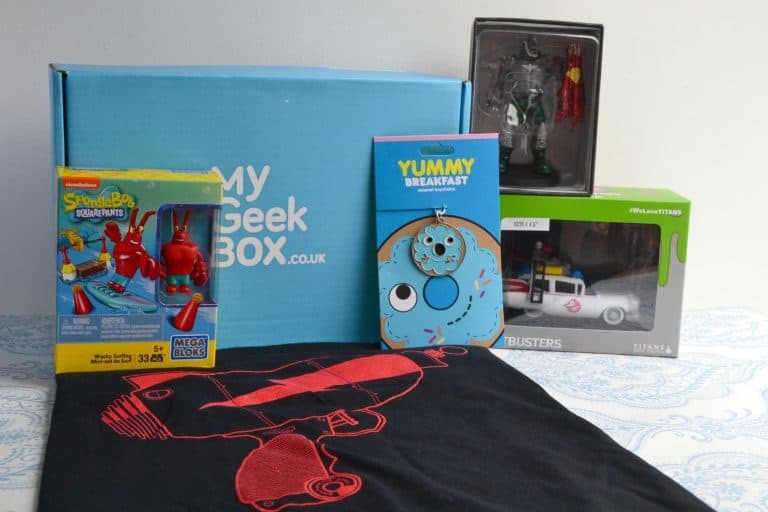 My Geek Box promise 4-7 items with the value of £35+ at £17.99 a month and you can sign up here! 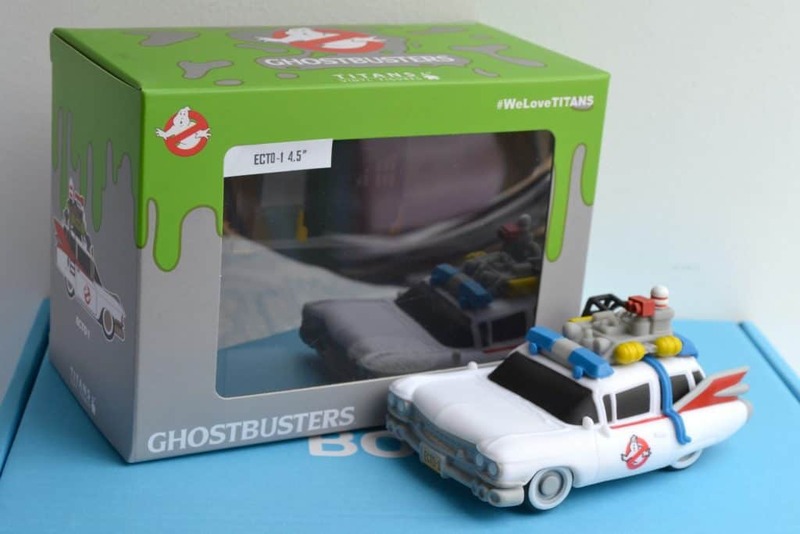 First thing I see when I open May’s My Geek Box is the Ghostbusters Ecto-1 from Titan Merchandise and I love Ghostbusters. Even as a kid I watched those movies on repeat. I’m really looking forward to the new movie too, so this is pretty cool to see. It’s kind of squishy too, like a dog toy. This could easily go on a collectable shelf, or in a kids toy box, without scrimping on the detail! Next is this super cute but not something I recognise key chain! 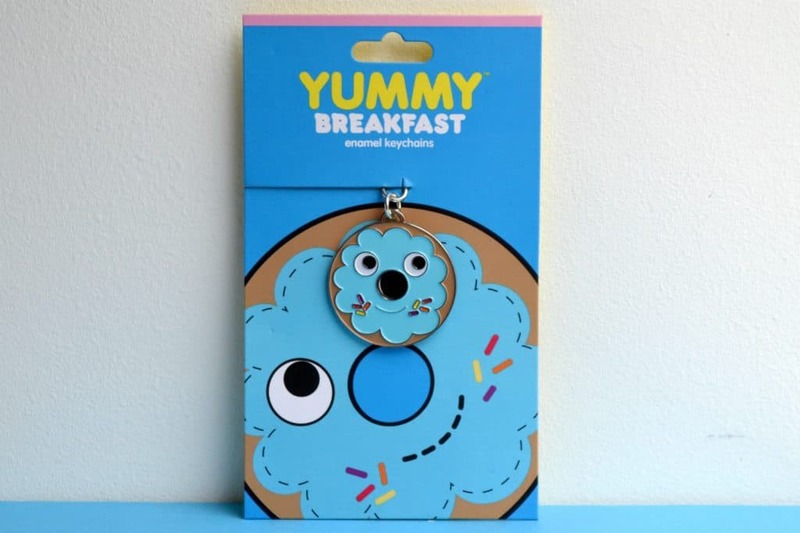 This is from KidRobot, a key chain of a donut which is adorable and made me want to look into what it’s from. Apparently it’s not so much a thing as a line of KidRobot designs called Yummy World? I now kinda want one of the strawberry plushes. But I’m not really getting how the key chain is particularly geeky though- cute, sure. But geek? Eh. This months My Geek Box had some weight to it and I’m going to say that 80% of that weight came from this solid DC Eaglemoss Doomsday figure. 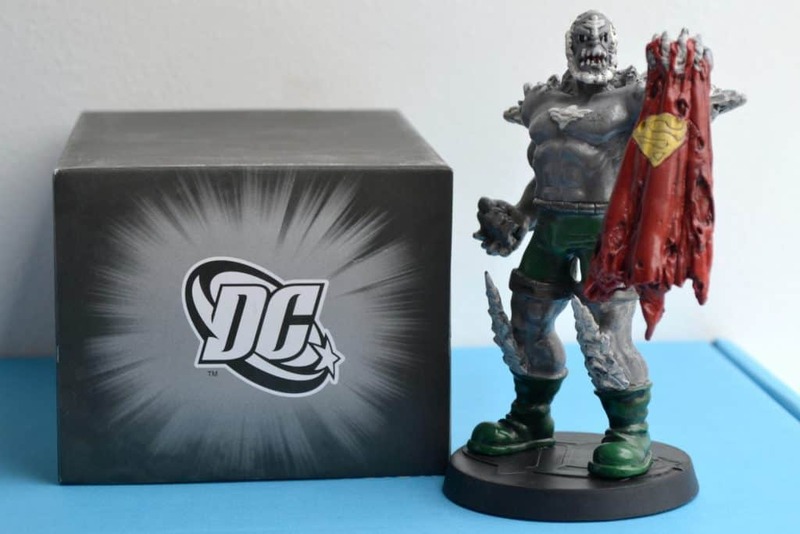 I read more Gotham based DC comics so Doomsday isn’t a villain I’ve come across, but even not knowing who he is, I do know that the paint job on this is shocking. The photo isn’t blurry, that’s genuinely what it looks like in person. 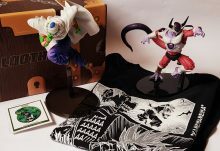 I personally won’t be running out to buy anymore Eaglemoss figures soon. I may be the only person that never watched Spongebob Squarepants as a kid. I know the basic premise; he lives in a pineapple under the sea (Spongebob Squarepants!) but I’ve never sat down to watch an episode. I have a friend who loves it though and she’s going to love this. 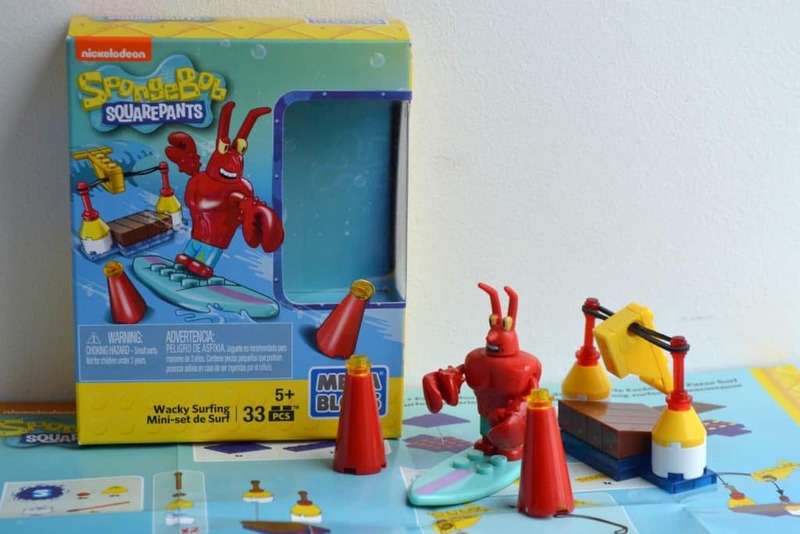 The little lobster guy goes flying on his surf board when you catapult him up the ramp. Childish, but fun for a couple minutes. 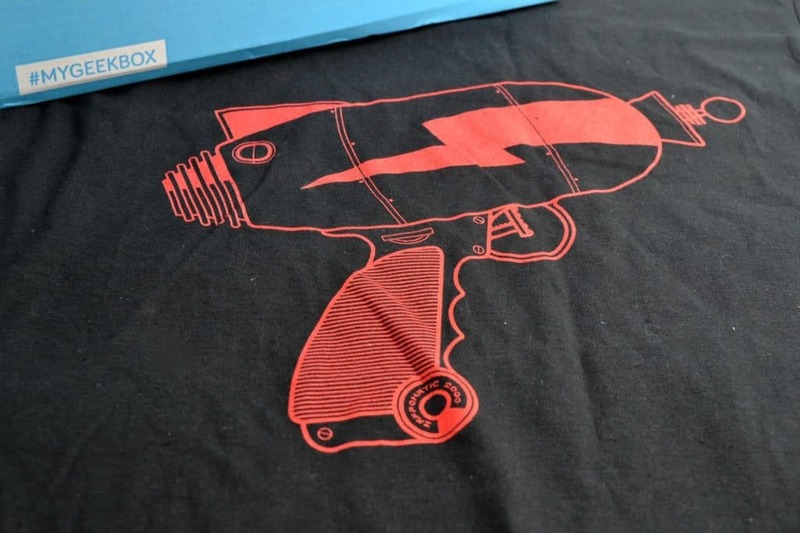 This months teeshirt is a black base with a red printed space gun- the Zapomatic 2000! It’s a nice soft cotton tee, nothing too extraordinary but something simple to wear day to day. 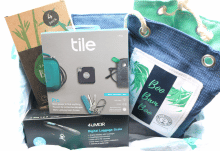 The womens fit is great and the quality is about what you’d get from any subscription box. My Geek box seems to be running a little fast and loose with the term geek these days. If you took out the Doomsday figure, this could easily be a box aimed at kids. Overall, not totally impressed. I think they need to bring themes back, and up the selection to items aimed at adults. They have their own My Geek Box kids box, save the Spongebob Mega Blocks for that.